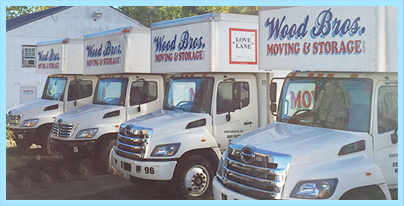 Wood Brothers Moving and Storage! Local, Regional and the Eastern Seaboard. We are the Seacoast's oldest moving and storage company. You can trust us to provide safe and secure handling of even your most valuable belongings. We offer residential and commercial moving and storage services for large and small homes and businesses. We are available seven days a week, providing professional service to meet your needs. Whether you are moving locally, across the country, or around the world, Wood Brothers will make sure it goes smoothly! Expert packing & unpacking services. Moving your belongings from a small apartment, large home, or any size office. Storage of your items in our secure, full-service storage facility. Receiving, storage, and delivery of goods for homes, businesses, and design and renovation jobs.